When it comes to high precision metal products, top manufacturers understand that thousandths of an inch are enough to compromise quality. For all precision metal works, including metal fixtures, HVAC parts, sheet metal enclosures, application covers, light fixtures, and industrial sheet metal components, experts focus on the intricacies involved with production to ensure that exact specifications and tight tolerances are met. Only then can they provide customers with a finished product that not just meets but exceeds expectations. 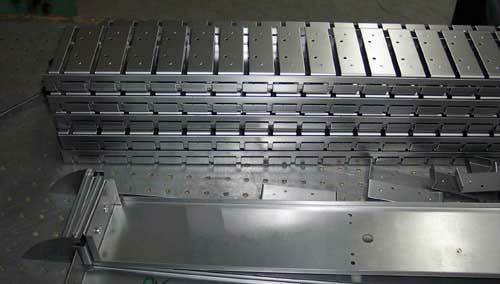 One detail of production is the workpiece, which directly impacts the caliber of the end product. Reputable manufacturers start with the highest-grade metal, whether steel, brass, copper, aluminum or something else. They then fabricate both standard and customized parts and components. For keeping efficiency high and costs competitive, they work with various forms of raw material, including sheet, coil, tubing, plate, and bar. Another intricacy that goes hand-in-hand with precision metal fabrication is the equipment and machinery used. For keeping up with the growing demand for superior quality metal parts and components, the best manufacturing companies utilize the latest and most advanced solutions. Not only do these ensure precision metal production that equates to products free of imperfections, but it also allows manufacturers to handle high production runs. With state-of-the-art equipment and machinery, top fabricators also provide a quick turnaround. As part of the production process for precision metal parts and components, the right companies offer a broad range of services. Rather than limited or basic services, they specialize in all aspects of production. With a full team of highly-qualified professionals, a manufacturer provides shearing, forming, cutting, straightening, welding, and rolling, thereby offering customers real value. Even before starting precision metal fabrication, the best manufacturers assist in the design phase of the project. With competent engineering services, experts meet with customers to discuss their specifications, goals, and objectives. Based on initial ideas uncovered or samples of sketches provided by the customer, the design team develops and prepares drawings used in production. A lot goes into the fabrication process for precision metal works. If you need a precision metal part or component fabricated, it is essential to choose a company that hones in on the intricacies of the production process from start to finish. At Weldflow Metal Products, that is what we offer. For information about our company and the full spectrum of our capabilities, please visit us online or call to speak with a company representative. This entry was posted in Uncategorized and tagged precision metal products. Bookmark the permalink.